Salome's Suitcase Spring Trunk Sale!! SS will be having a Spring Trunk Show today at 1pm! There will be new things, standard classics, and a few mark downs - sorry for the last minute, but some of us have been vending at Tribal Massive and threw this together for those of you who couldnt go to Vegas with us!!! We've been racing the clock to have some new adornments for your wearing pleasure!! Come out and play, try things on, laugh, admire yourselves in the mirror, catch up on the latest and eat snacks! We will be in the lovely Minerva's Antennae studio in the Mission! Please come down and say hi! 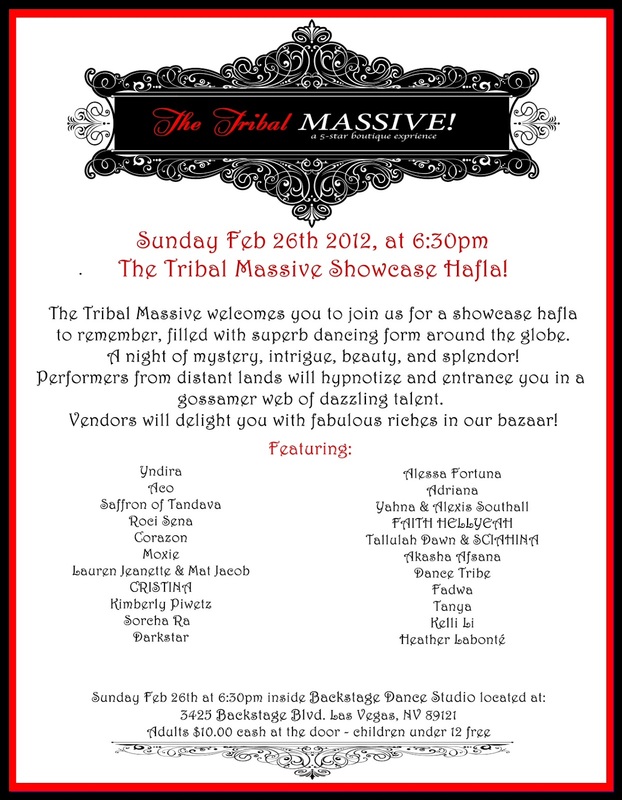 Members of Salome's Suitcase will be vending and being represented at Tribal Massive this year! Look for Minerva's Antennae, Medina Maitreya, and FoolProof Studio at 5star Boutique! It is rumored that there will be HiBeam Bindis there as well - along with a few pairs of Kathleen Crowley's Sampants! Be there or ........well, you know! Fluffie Rufflie Patterns Available In Our Etsy Store!! Kathleen Crowley's Fluffie Rufflie Patterns are available in the Salome's Suitcase Etsy Store! These are Multi - sized Fluffie Rufflie Pants Patterns! Now you can sew up your very own! Salome's Suitcase is a collective of apparel and adornment artists united by a focus on unique design and quality craftsmanship.